We’d like to issue a public warning. If you’re a company looking for a PR agency, then beware of the following two phrases: ‘we guarantee you X amount of press coverage’ and ‘we guarantee we’ll write X amount of press releases a month for you’. At face value, these might seem like great promises and we know there are plenty of companies who would be lured into signing a contract with a PR agency based on those guarantees. But before you take the plunge, take a second to think about what both of those things really mean – and whether they’re really the kinds of ideals you want your PR company to aspire to. Let’s take the press coverage promise first: we can sum that one up in two letters – BS. Firstly, if you want a specific amount of coverage in particular publications at a certain time (and have a commercial message to push), then you need to be directing your money towards an advertising company who’ll put together some lovely adverts for you. If you want to garner a reputation for being the best in your industry and become the go-to brand based on expert comment, opinion-led articles, keynote speeches, and carefully thought about long-term strategies – now we’re talking PR. Yes, a good PR agency will have a contacts book full of journalists they’ve built up a fabulous relationship with. Yes, a good PR agency will know who might be interested in your story, how to write a kick arse pitch and what angle to use. But it’s ultimately up to the journalist themselves (or their editor) whether a particular story runs on a given day. And even if they’ve initially said yes, if something massive breaks just before their deadline, everything else could be shoved out the way to make room for the biggest news of the day. Think of all the stories which would have been completely overlooked on the day Princess Diana died, or on 9/11, or the day Prince William and Kate Middleton announced any of their pregnancies. Fans and members of the ‘coverage guarantee’ club would argue that any PR worth their salt should be able to promise they can get coverage. But it’s not the client expecting coverage that we have a problem with, it’s a guarantee of X number of pieces. Because PR agencies don’t control the news. And because surely the focus should be on quality not quantity. 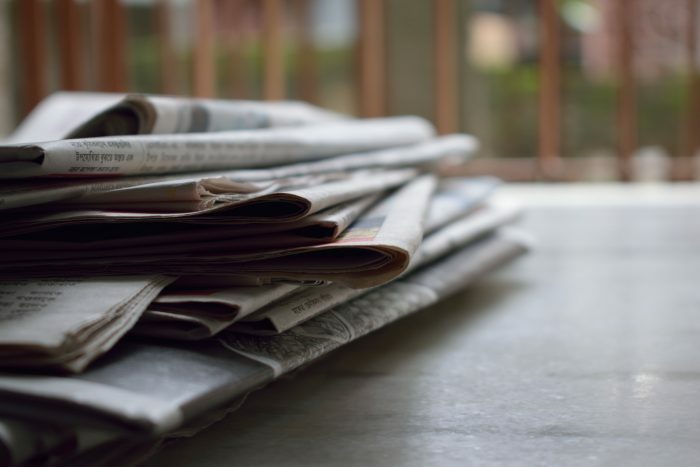 While you might think that three mentions in your local newspaper over the course of a few months are valuable to you, have you really considered whether this is actually going to be commercially beneficial to your business? A guarantee of a certain amount of coverage spectacularly misses the point of PR – it doesn’t work like the phrase about throwing enough mud and hoping some will stick. You might have had your company name mentioned a certain number of times throughout the year, but have your sales actually increased because of it? Have you gained any standing within your industry? Have you started attracting a better calibre of candidate hoping to join your firm? Identifying those who really matter to you (clients, prospects, stakeholders etc) and what publications they read, which events they’re likely to attend, and what they truly care about should be some of the very first questions any PR agency should be asking. And if they’re not, then any coverage they achieve is highly unlikely to have any impact whatsoever. We’re all about strategy at Zen – what do you want to achieve and how can we get you there? How can we make what we write align with those goals? What will make your potential customers stand up and take notice? And that leads us nicely on to the second guarantee, of a certain amount of press releases written each month. At Zen, we’re all trained writers. We could bash out hundreds, maybe even thousands, of press releases every year if that’s all we ever did. Most of those press releases wouldn’t be used by the media, because they’re just being written to fill a quota rather than because they have news value. And will the ones that are used make any difference? If you want guarantees, then we guarantee we won’t write any pointless press releases that no one will read or care about. We guarantee we’ll design a strategy for you that works for your business and where you’re heading. And we guarantee we can show you lots of coverage we’ve achieved for clients that has made a real impact. We’re not about doing things for the sake of it or so we can write a catchy line featuring the word ‘guarantee’ on our website. We’re about real results, because churning out a press release or getting your name in a publication of no relevance just so we can say we ticked that box doesn’t achieve anything for you as our client, or for us as an agency.